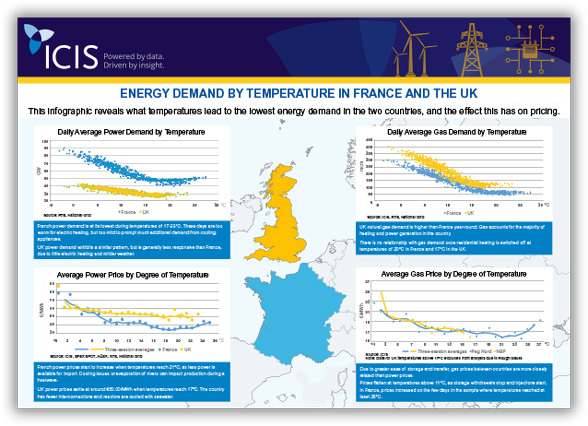 ICIS analysed more than 800 working days since 2015 (not including public holidays) and found that power and natural gas demand and prices are at their lowest when temperatures reach 17°C in the UK and France. Heating demand is also at its lowest on these days. Download a free copy now.